Worm farming is fun and rewarding! Do you know the 13 biggest Worm composting benefits? "There are many Worm composting benefits you can expect when you start to recycle with earthworms!" Firstly it is a really easy way to recycle organic waste products. In fact it is much simpler than the traditional aerobic composting process and offers plenty of reasons why you should become a worm farmer! If you care for the environment, love your garden and enjoy growing your own fruit and vegetables you should not hesitate to get your first worm farm. It is fun and the rewards are plenty Below you will find a list of good reasons why you should convert your kitchen- and garden waste into nutrient rich organic fertilizers. 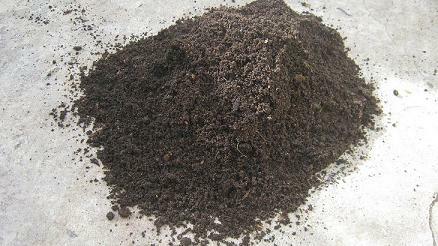 It can be easily turned into a profitable worm composting business. The points listed above are just some of the compelling reasons why more and more people are getting hooked by the humble earthworm. 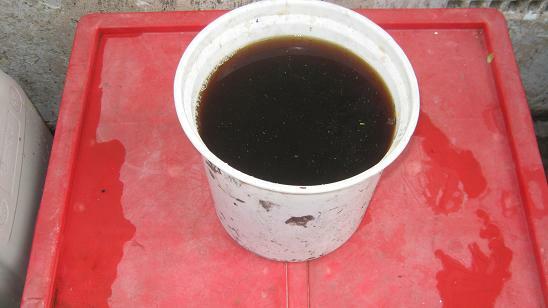 A bucket of fresh worm tea can be used as plant food and as a natural pesticide. I’ve run my first worm business for more than 13 years and during that time I came across people from all walks of life who wanted to start worm composting. Many clients just wanted to use the compost worms as high protein food source for their animals! The owner of an exotic monkey. One of the possibly biggest worm composting benefits is the fact that it makes a contribution for a better environment. Many environmental conscious people started their own worm bin to reduce their carbon footprint, reduce the pressure on landfill sites and assist in the fight against global warming. 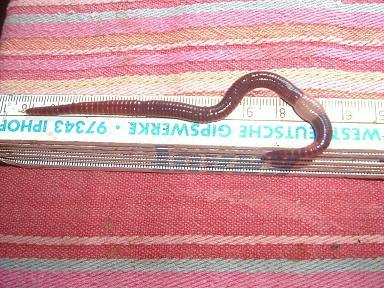 A large mature Compost worm. Unfortunately millions of tons of wet waste are still dumped on landfill sites where they decompose airless and produce methane gas that is contributing to global warming. Gardeners all over the world use Worm castings produced in their worm bins to grow the most beautiful flowers, healthiest fruit and vegetables and the greenest lawns you can imagine. who use them to produce nutrient rich plant food to give to their indoor plants and generate a little income on the side! Many children love worms and are learning as young citizens about the benefits worm farming can bring to themselves and the environment. Return from "worm composting benefits" to the "worm-composting-help" home page! Where can i buy worms in Spain? I want to buy some worms and cant find a supplier here in Spain. Can you please let me know where I can find a company that can sell me some worms?